The Marzouk Al-Ahmady Mosque in the Al-Gamaliya district of medieval Cairo has been reinforced by the antiquities ministry after the collapse of part of the roof. Mohamed Abdel-Latif, the deputy minister of antiquities, told Ahram Online that the partial collapse was due to the impact of erosion elements and heavy rain over a period of time. 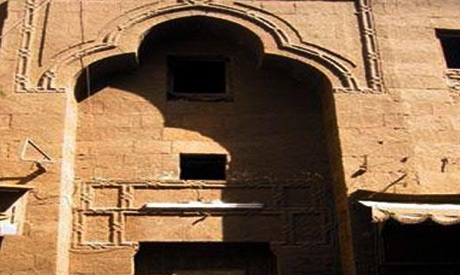 An archaeological committee led by El-Saeed Helmy, the head of the Islamic and Coptic Antiquities Section at the ministry, has inspected the mosque and closed it to worshippers due to safety concerns. Helmy said that there were plans to restore the mosque, which dates to the Ottoman era, but it has not yet been implemented due to lack of funds. According to Article 30 in the antiquities law, he pointed out, the Ministry of Religious Endowments is required to fund the restoration. The mosque contains the mausoleum of a clergyman from Yemen. It also boasts a distinguished minaret that combines Ottoman and Egyptian architectural styles.